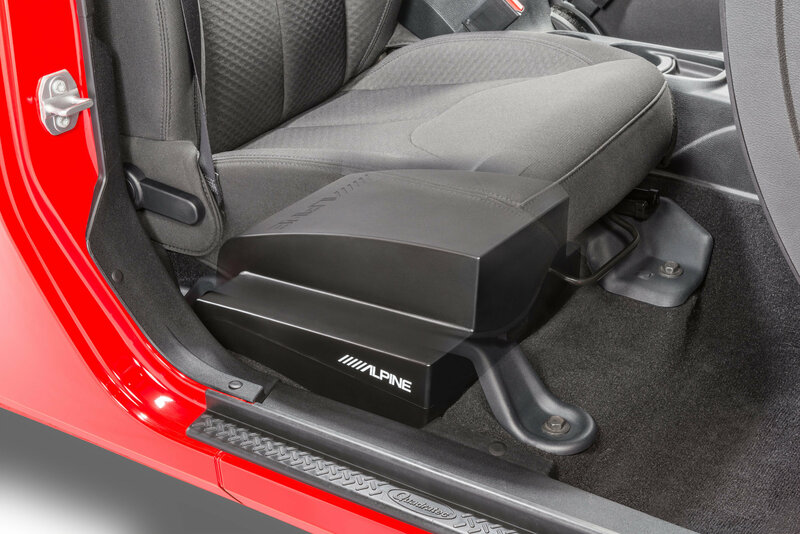 Completely revolutionize the audio experience in your Jeep with the Alpine PSS-22WRA Waterproof Full Sound System Upgrade. 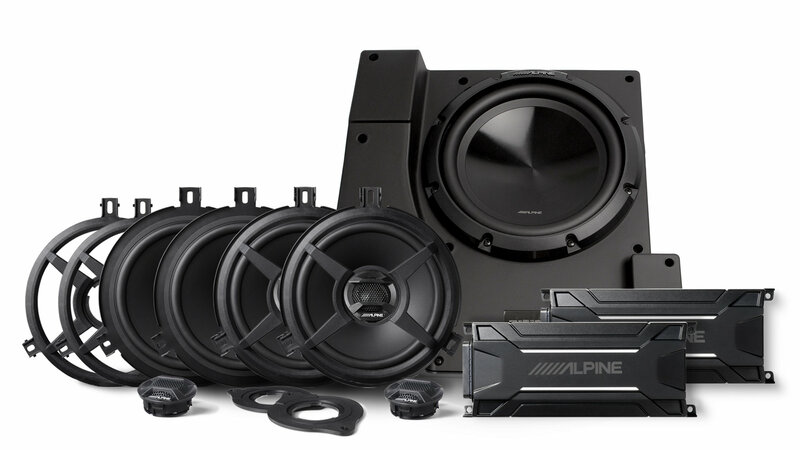 This 600-watt kit is designed specifically for four door Jeep JK Wranglers, and features four 6.5” speakers, four 1” tweeters, a 10” sub-woofer, and two amplifiers. 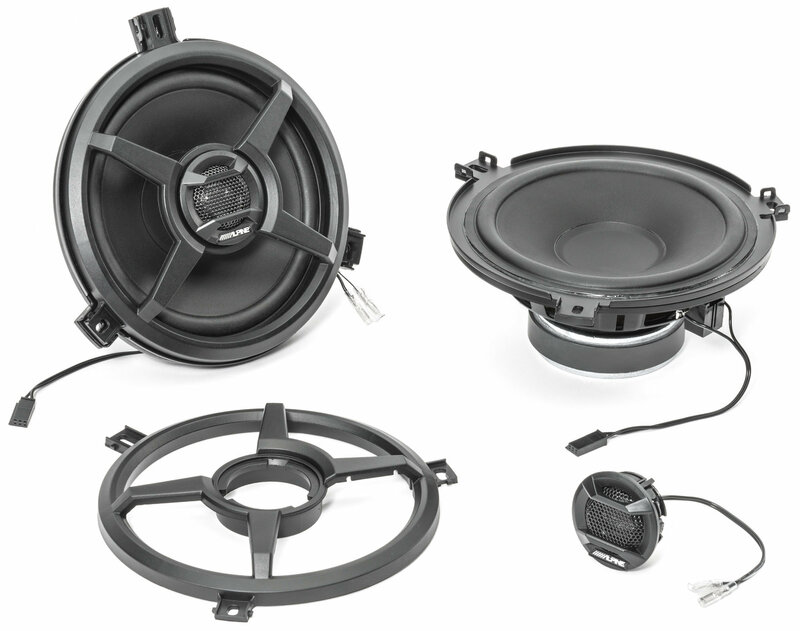 Unlike other replacement speakers and sub woofers on the market, Alpine specifically tuned this entire system for Jeep Wrangler. All wiring, adapters, and connectors are included to install this plug-n-play kit into your Jeep. 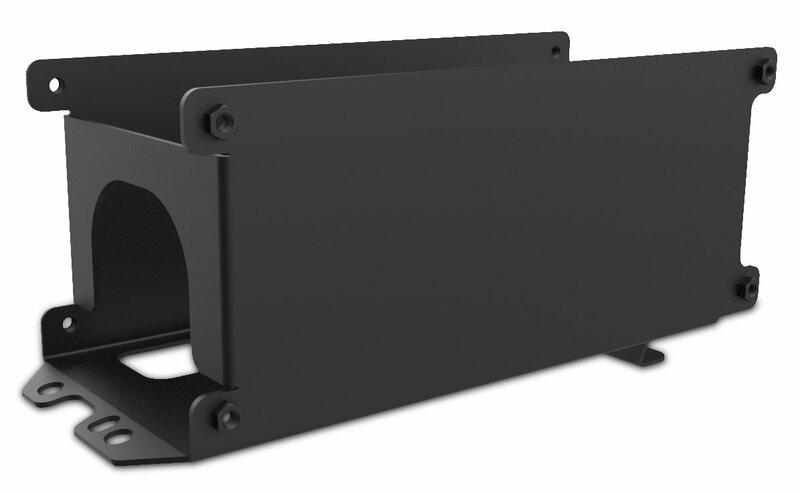 Best of all, you do not need to worry about damaging the PSS-22WRA when your top is down, because every component has a minimum of IP55 waterproof rating. 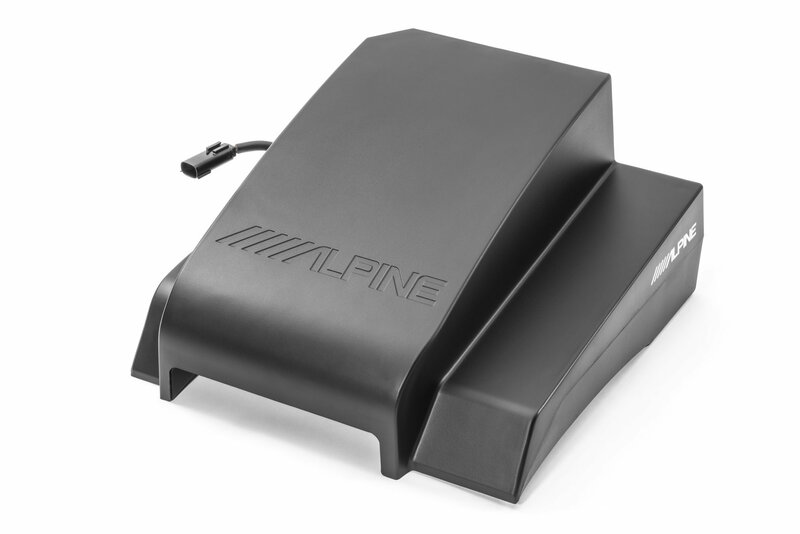 Installation Note: The Alpine 10" Water Resistant Subwoofer is designed for use with factory carpet. If your Jeep does not have carpets, additional padding may be required. Designed for Jeeps: Alpine engineered PSS-22WRA Waterproof Full Sound System Upgrade to be compatible with all four door JK Wranglers. 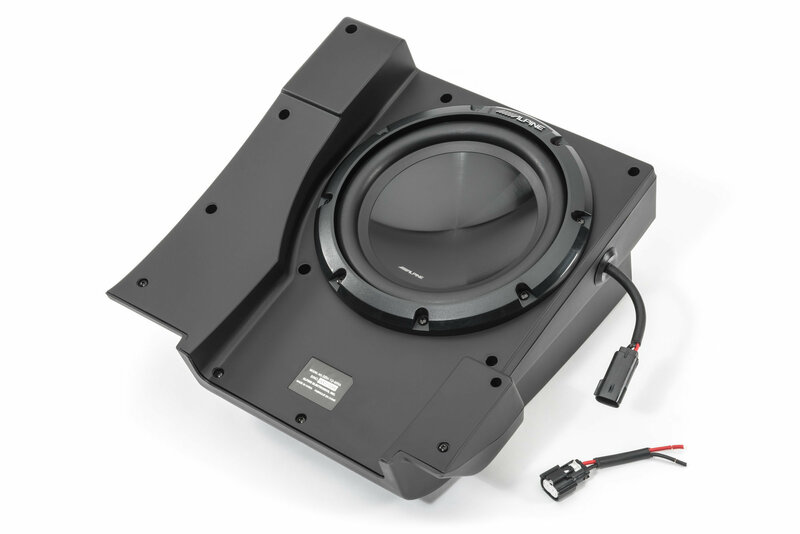 The included SPV-65X-WRA speakers are Jeep specific and include adapter that fit will all JK year ranges. Complete Package: The PSS-22WRA Waterproof Full Sound System Upgrade includes everything you need to take your Jeep’s audio to the next level. 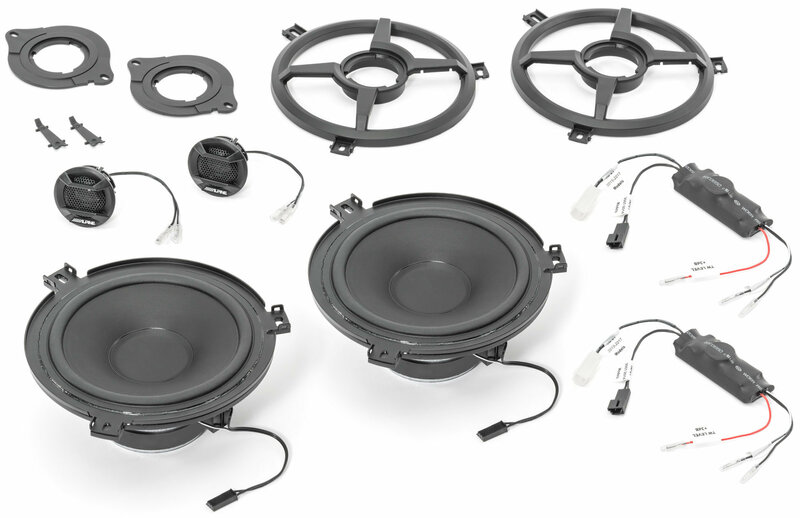 With the high-performance replacement speakers, sub-woofer, and amplifiers, you will be able to get the most from your factory or aftermarket stereo. After a couple of visits to various audio shops & countless phone calls I almost gave up on this product, glad I did not. The bass/sound paired with the i209 head unit is far superior to stock but not mirror rattling which is perfect for me. However I did have issues with the amp/sub controls on initial install that were finally and thankfully rectified by an authorized alpine shop. If you are experiencing the same I highly recommend finding an authorized shop to troubleshoot it. (Plug n play?...ehh, debatable) Haven’t tested the marine element yet but top off season is near. I was excited to receive and install this in my 2015 Jeep. First the install was a little difficult trying to attach the amps in an almost impossible area. Understand I am very technically and mechanically incline. Second after 5 hours and a couple of busted knuckles. The magical moment of the first listen was less than magical. the speakers sounded pretty good but sub woofer was non existent and the control knob was not working. I called for technical support and I ended up taking the seat off to see if the woofer was moving it was but barely. Very disappointed paying 1600 for a system that should rock. Recently installed this in my 2017 Wrangler. First, plan on 6-8 hours for the install. You might be able to make the 2 hour install time with 4 seasoned Pro's working at the same time. Second, the install instructions leave a lot to be desired. The pictures in the directions are not obvious at times. Third, they left an extremely important step out, be sure to hook everything up first, test the system, and then adjust the amplifiers settings before installing them. You will not have access to after they are mounted under the dash, and they are a difficult install, so you do not want to go through it twice. Lastly, the sub, if it works, is very underwhelming for a 10". Although I have to admit that I have not been able to verify how well it works while installed since mine does not work at all. Mine has a loose connection either at the amp, or in the cable itself, most likely from the way you have to bend the cables to attach them without them interfering with your pedals. My suggestion, pay someone to install this for you. Otherwise, it seems like a good system. can you please share shipping weight and dimensions? Why is the sum of the components from Quadratec lower than the price of the kit? 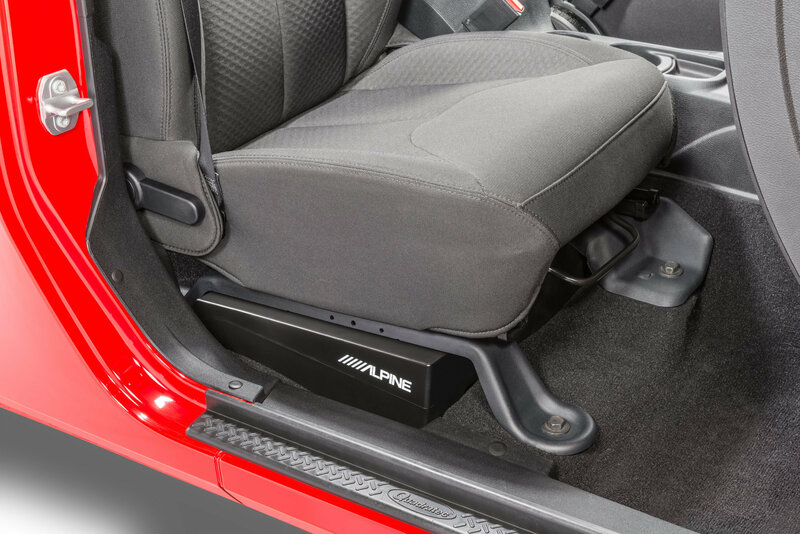 Does the subwoofer go under the seat or in the trunk?